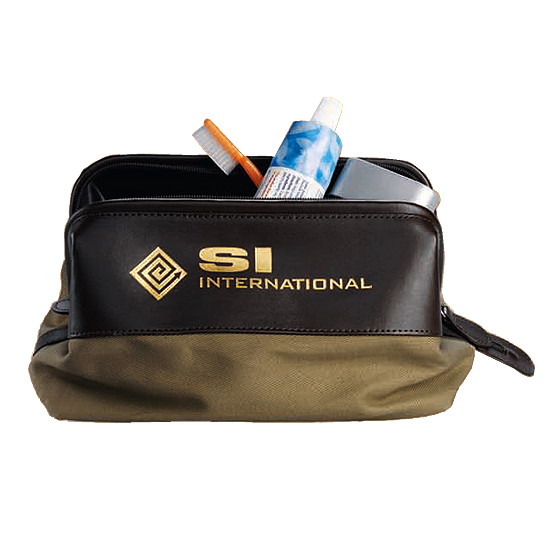 Nantucket Travel Kit a perfectly sized toiletry kit.A beautiful combination of canvas and brown leather, kit features an easy access wide frame opening, extended zip top closure, interior zippered compartment and a fully lined interior. A great gift for frequent travelers. 13 1/2 oz. / 9 1/2" x 5 1/2" x 5 1/2"